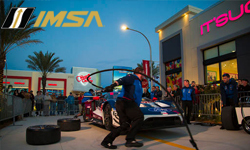 IMSA, North America�s premier sports car racing organization, celebrates its 50th anniversary in 2019. 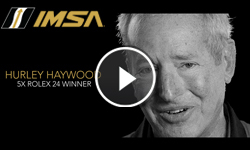 Relive some of the best moments in IMSA�s history, told by some of the greatest drivers of all time. 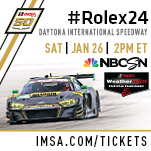 With IMSA�s 50th Anniversary well underway, there�s no bigger race to celebrate at than the Rolex 24 At Daytona. 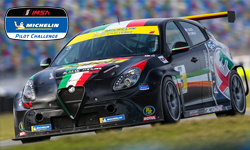 Drivers from around the world take to Daytona International Speedway for the prestigious twice-around-the-clock event with only a handful walking away with a coveted Rolex watch. 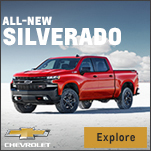 See it all unfold on Saturday, Jan. 26 on NBCSN at 2 p.m. ET. 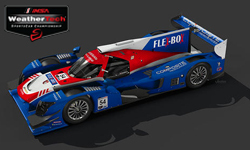 Joining forces with Jordan Taylor, Renger Van Der Zande and Kamui Kobayashi in the No. 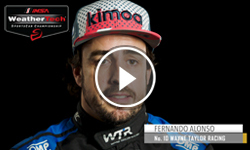 10 Konica Minolta DPi-V.R., Alonso and the Wayne Taylor Racing squad will battle on the banks of Daytona International Speedway for 24 hours with the goal of receiving a coveted Rolex watch. 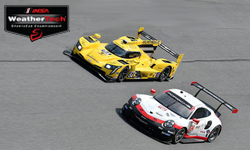 The 57th running of the Rolex 24 At Daytona marks both the start of the IMSA 50th Anniversary Celebration and the beginning of an exciting new era for the sanctioning body and its flagship IMSA WeatherTech SportsCar Championship. 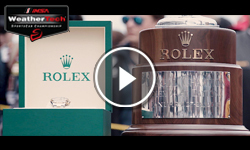 The event kicks off fan activities around the 57th running of the Rolex 24 At Daytona on Jan. 26-27 at Daytona International Speedway. 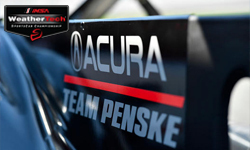 When it comes to past success and high expectations, you’d be hard-pressed to find a more heralded group of teammates than the Acura Team Penske lineup for the Jan. 26-27 Rolex 24 At Daytona. 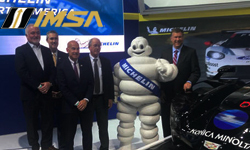 The annual North American International Auto Show is ongoing in Detroit and IMSA enjoyed a large presence at the first day of the event on Monday, Jan. 14. 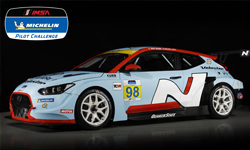 The Veloster N TCR joins the fierce competition in the 2019 IMSA Michelin Pilot Challenge. 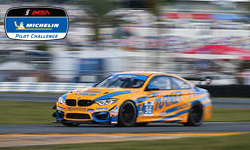 Racing runs in the family for Bruce and Sydney McKee � so much so that the father and daughter are preparing for their IMSA debut next weekend in the IMSA Michelin Pilot Challenge.